Introducing the New Task Lamp Design! The lamp shade is a small section of channel-beam that runs along the base of the handrail. It was sliced with a band saw and fanned out to give a unique and abstract reference to the larger design of the original handrail itself. To further carry on this reference, the base reflects the same parallel rail look using additional weathered pieces of this same channel-beam welded together to create a stable platform. The post that comes up from the base to hold the shade incorporates new steel that replicates the design of the posts used for the street lights on the Golden Gate Bridge itself. One of the things Richard also wanted to use in this new Task Lamp design was low wattage LED lighting. The light fixture itself is a 6.3 watt, 410 lumens LED with a 3,000K white color temperature that is equivalent to a 35 watt halogen bulb. The new design weighs in at 7 pounds, with a height of 17 inches and a footprint of 6 by 4 inches. 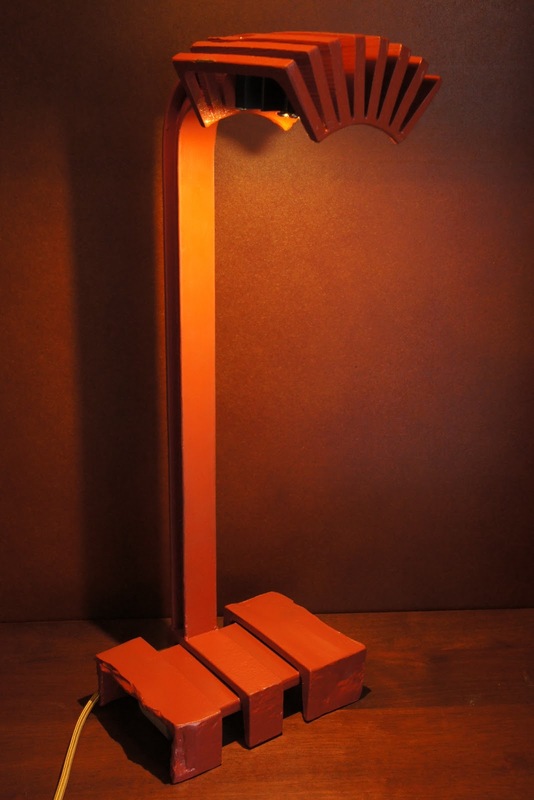 The Task Lamp has a limited production run of 390. As with all our designs, each Task Lamp is numbered and comes with a Letter of Authenticity.